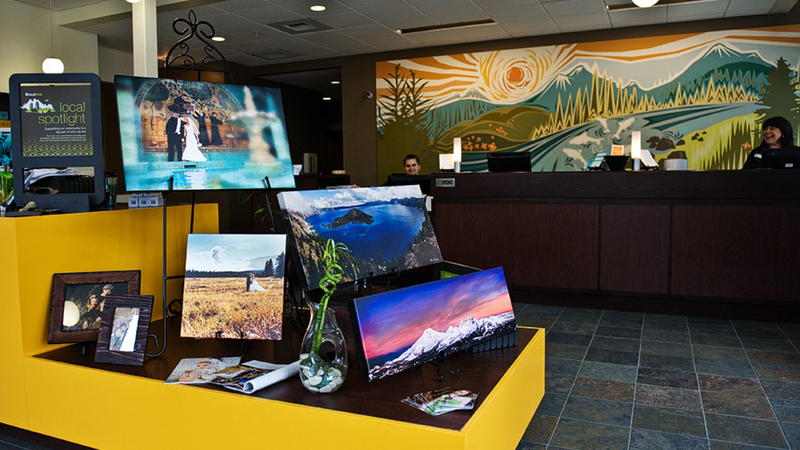 This location of Umpqua Bank on Century Drive provides convenience for the busy shopping area of Bend’s west side, as well as a quick stop on the way to Mt. Bachelor. Open weekdays from 9:00 a.m. – 5:00 p.m., they also offer a drive-up window. Umpqua Bank feels that “Most banks treat their customers like customers. We treat our customers like people.” They want to take the time to understand how banking fits into your bigger picture, and give you the easy access and mobile tools you need to manage your money on your own terms. Started as a community bank in 1953 in Canyonville, Oregon, they still believe in the power of community and giving back. Personal banking services include checking, savings, personal and home loans, credit cards, investments, and private bank. Business banking services include both checking and savings, as well as loans and lines of credit and credit cards, cash management, and commercial banking.